A bit of a surprise this morning: next week is Kids Week. Will we see a repeat champion tonight, or will we have to wait? 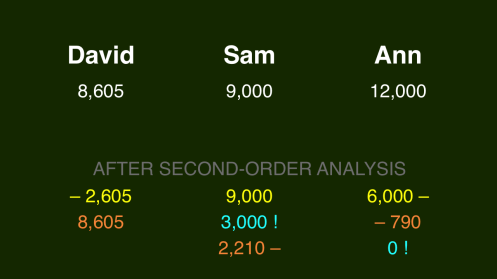 David, our champion, went for the minimum on a late Daily Double – and knew the response. He’s in third heading into Final. Now let’s see what each player should do. Remember, we save the dollar changes until the end. What should Ann do if Sam doubles up? How should Sam respond? We do the same idea with David’s score. A little riskier for the leader in each combination: what should I do if I assume the trailer is going to be rational? 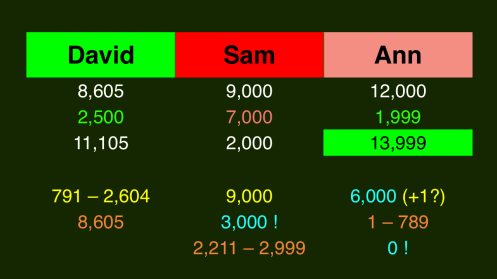 You’ll see Ann and Sam are in a wager-to-tie situation, since Sam has exactly 3/4 of Ann’s score. 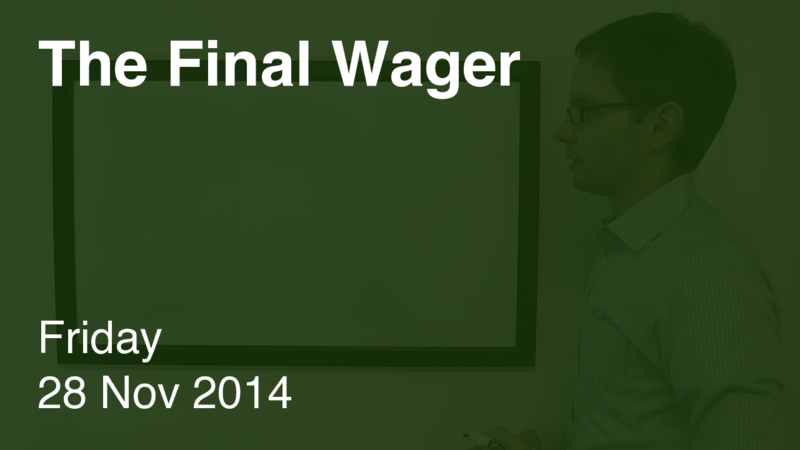 If anyone can restrict his wager to take possible zero wagers into account, she should do so. Only David can take advantage of this. 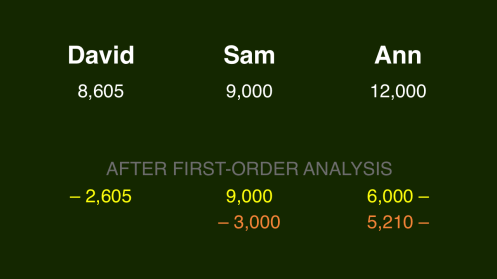 Not sure why Sam gave David any leeway. Ten straight new champs. The carousel is on pause for a week, though. What is Bull Run / Manassas?